Canadian CPR Courses in Nanaimo, B.C. Nanaimo First Aid offers trainees the largest selection of CPR training programs in British Columbia. Rates are very affordable while maintaining quality training. Because of the great offers at Nanaimo First Aid, trainees continue to choose it over other providers. Full courses and stand-alone courses on cardiopulmonary resuscitation (CPR) are available at very flexible schedules. Canadian CPR courses in Nanaimo include a variety of level’s including “HCP”, “B”, “C” and “A”. Each course is takes no more than a day to complete. Registration is quick and easy and can be done via variety of methods. To enrol in a Canadian CPR course in Nanaimo, B.C. complete the registration form on the bottom of the page or use the contact details posted below. CPR and AED training involves knowledge and skill development on recognizing and reacting to emergencies such as cardiac arrest, heavy bleeding, choking, and many more. 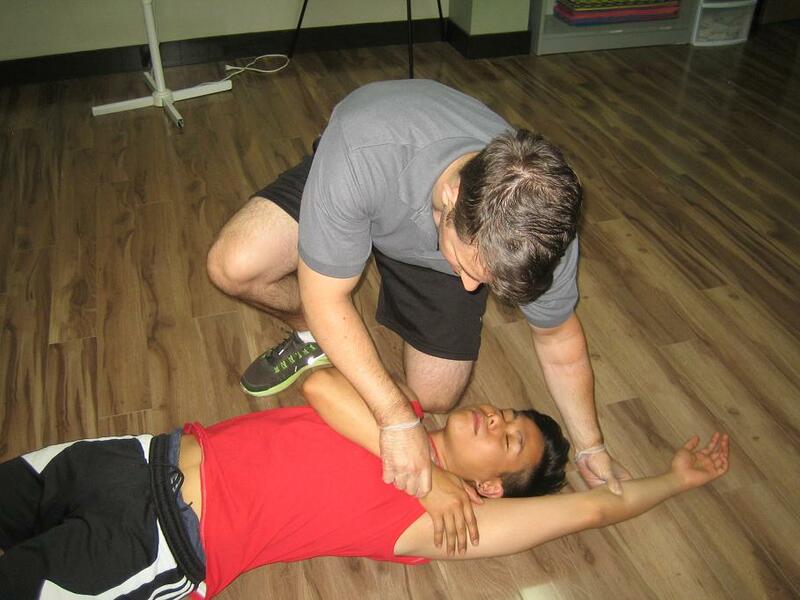 CPR training courses have three levels, each level pertaining to a specific victim age group and target audience. These levels (A, C, and HCP) last four, five, and six hours long respectively and include automated external defibrillation (AED) trianing. AEDs are machines that detect heart rhythms and apply shock to the heart. Students need to have complete attendance, adequate skill demonstration, and at least 75 percent on the written exam to pass a class. After completion of the CPR training course, certificate cards are awarded to the students. Wall mount sized certificates are optional. Stand-alone or CPR-only classes are also available. These classes include AED training, as per the latest Basic Life Support Guidelines from the American Heart Association. Private classes are usually offered to big groups of trainees. Nanaimo First Aid also offers private instructors (certified by St Mark James) to train students at home or at special events like conferences. If you’re looking to book a private trainer, just send an e-mail or telephone call to inquire about rates. All training facilities in Nanaimo are spacious and well-maintained, outfitted with the latest training equipment. Public and private transportation can easily reach any of the centres. Restaurants, shops, and free parking are available within walking distance. Course rates include taxes, certificates, and St Mark James training manuals. Trainees don’t have to worry about additional expenses. Full refunds are also given to those who drop out and provide 72-hour notices beforehand. Complete your enrolment via e-mail, telephone call, or walk-in during business hours. Enrol today! Pinch your nostrils closed and breathe through your mouth. DO NOT pinch the bridge of your nose, this may cause it to bleed further. Sit up straight, leaning forward. DO NOT lean or tilt your head back. This will cause the blood to run down your throat and cause choking or make you swallow blood. AVOID blowing your noise after the bleeding has stopped. You may use ice to help with pain and bleeding. On-line Registration Form for Canadian CPR Courses in Nanaimo, B.C.